FYI. 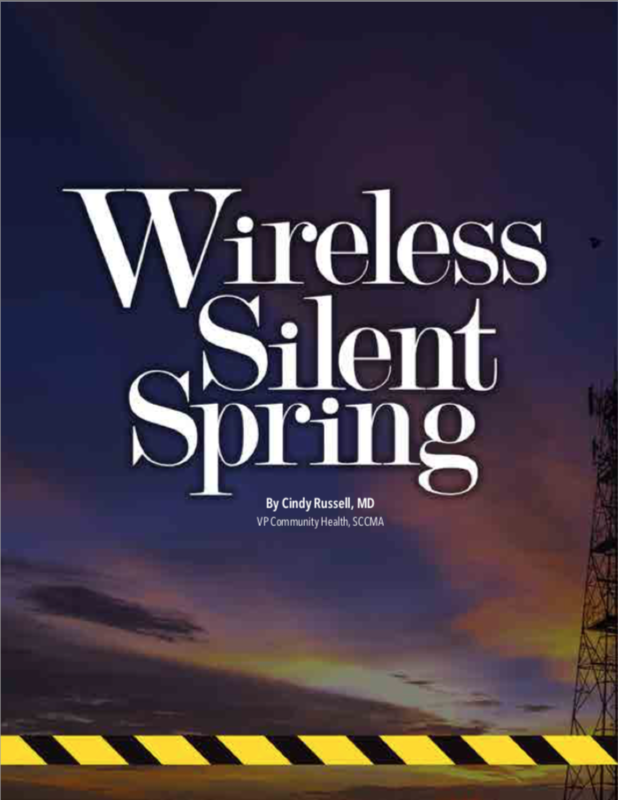 Here is again the PDF of the color graphic for Wireless Silent Spring published in the October 2018 Santa Clara County Medical Association Bulletin. I am sending as well the Black and White PDF (which I just corrected and altered a bit) . Feel free to upload the Black and White version with references. The links to the Web versions (Color and B & W) at the SCCMA are below. If you wish to reprint the color graphic version of the article it is best to contact Pam Jensen at the SCCMA. it should not be a problem. She is at pjensen@sccma.org . Here is the SCCMA link to the articles- both color and Black and white – here is how to get there. 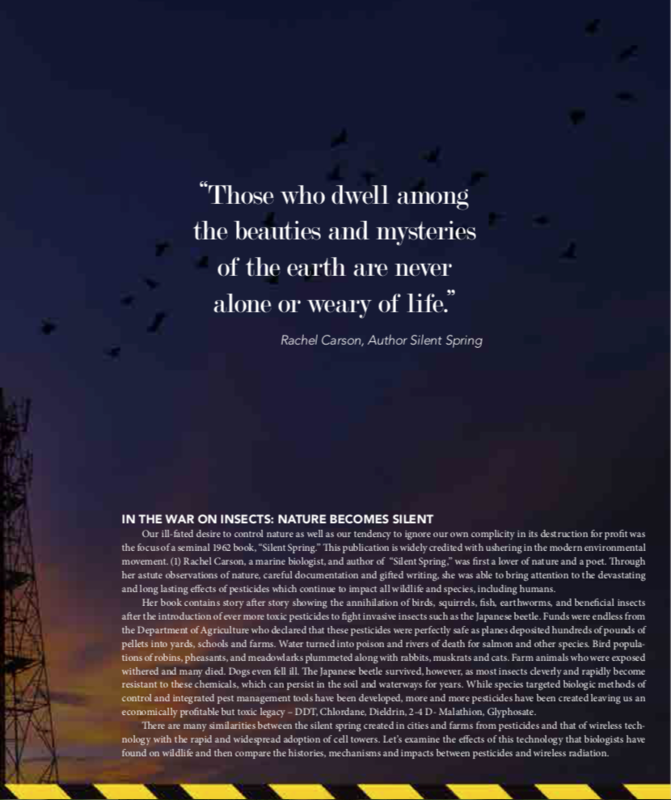 Thank you to KK for sharing this article with us @ Z5G!